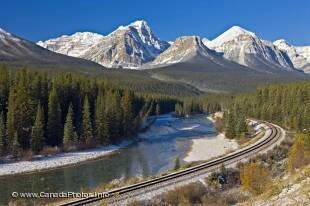 Selection of our pictures for the Canadian Province of Alberta. RSS Feed for keyword: "Alberta Pictures"
Alberta is a highlight for every Canada tourist. Main tourist attractions are the Rocky Mountain Parks Banff, Jasper and Waterton Lakes National Park, modern cities like Edmonton and Calgary, native culture and amazing prairie landscapes like seen in Drumheller Valley, Dinosaur Provincial Park or Writing on Stone Provincial Park.